SPOILERS: Please do not discuss these in open forums like Twitter or bestow this information upon people who are not interested in knowing anything about the film until they look upon it with their own eyes. EXTERIOR DAY ROSE’S PUB Finn wants to go after Rey. Han upset. Rose explains why. It appears the flashback the new heroes experience will be trying for everyone involved. 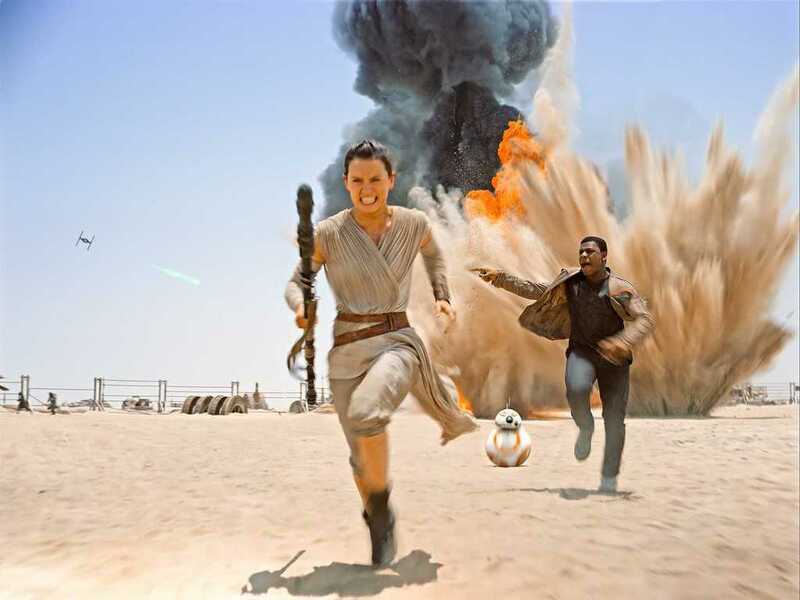 Rey runs out of the pub and flees to be alone. Han is visibly upset. Finn doesn’t understand it. Apparently what Rose says is going to be pretty heavy to Finn. Chances are what Rose says to Finn right here is what we fans have been speculating and trying to figure out. Now, I don’t think Han Solo knows Rey is his daughter (if she indeed is), as he would likely run after her. As was revealed this week, after Han purposely crashes the Falcon into the trees of the snow planet Finn consoles the old smuggler about Kylo Ren. I don’t believe Han is upset because Kylo wants to kill him and he’s just some guy. Han Solo has been hunted by Darth Vader and Boba Fett. Han Solo ain’t afraid of nothin’! There is something special about Kylo. The years clearly haven’t been kind to Solo and it appears he has lost his wife, his children, and depending on how you read the teaser sequence of “Chewie, we’re home,” his ship. It appears Han Solo’s only son has become something terrible. INTERIOR DAY MILLENNIUM FALCON – FALCON COCKPIT (GIMBAL) Standstill. Han shook up. Finn consoles him regarding Kylo Ren. I am circumstantially convinced that Han Solo is the father of Kylo Ren. Kylo has a personal vendetta against Han and actively drops what he is doing to seek him out in a way that seems very personal and not just “evil guy orders” as usual. However, I don’t think Kylo is entirely evil. When Uber wants Rose’s Pub destroyed with Han Solo inside, Uber senses some reluctance from Kylo and tells him to “stop being so sentimental.” It almost reminds me of the Emperor asking Vader if his feelings on certain matters are clear. There is a much-discussed sequence where Kylo sits in the Falcon cockpit after the crash and the crew has gone on to attack the First Order Castle. That isn’t normal bad guy stuff; that’s someone lamenting the way things have gone and mourning for what could have been. Of course there is the moment where Han confronts Kylo which doesn’t go too swell either and Kylo kills Han Solo. The connection between Han and Kylo is feeling deeper and deeper and more complicated as we move forward. Is Leia Kylo Ren’s mother? Well for starters, I don’t think she’s Han’s wife in The Force Awakens. When Leia and Han meet in The Force Awakens the scene is described as “awkward.” That says to me they haven’t been together for a while now and it is like running into an ex. I believe Leia is Kylo’s mother but there is not a lot of strong evidence for it as they appear to be squared off against one another, factionally speaking. That said, when Kylo Ren kills Han Solo, they filmed coverage of Leia feeling Han has perished through the Force, like Obi-Wan Kenobi feeling the destruction of Alderaan or like Yoda feeling that Anakin Skywalker has murdered women and children for revenge. Putting Leia into this sequence if she was not related to both men seems less impactful. “The circle is complete” if they’re a family unit unto themselves feeling this horrendous act as Rey and Chewie watch it unfold. We also don’t really have a smoking gun that Kylo is related to Rey/Kira at this point either. However, Leia and Rey’s scenes together at the end of the film indicate a strong connection as they have a goodbye sequence together when they basically have very little reason to have such a sequence considering they share minimal screen time in The Force Awakens. Soon we will detail Rey’s capture and interrogation with Kylo. I often wonder if it is significant that Kylo does not kill Rey after he gathers what information from her he can? Only time will tell how significant that is, if at all. 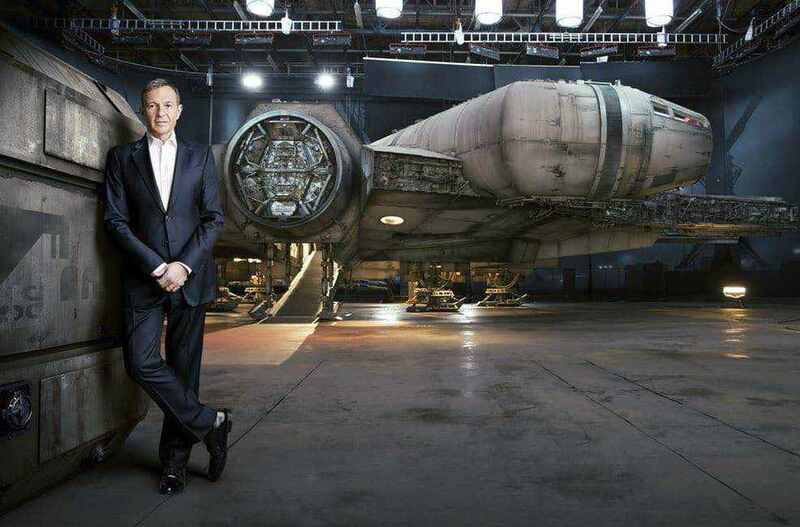 The Falcon is the home for the rebellion-era heroes. When Han says “Chewie, we’re home,” I don’t think that’s the end of the dialogue; it’s just where it cuts in the teaser. So has Han lost the Falcon? Did Han also lose his home as he lost his family? The teaser implies as much. We know Rey and Finn make a run for the Falcon and effectively steal it. I used to think the cargo was on the Falcon. But it turns out the cargo is always on the freighter with the Falcon landed on Jakku until Rey and Finn bring the Falcon to the freighter by accident. Now, to me, that says the cargo was unloaded on Jakku and taken up to the freighter and Han and Chewie followed their product to collect payment. I could very well be wrong. But I think when Han Solo says “Chewie, we’re home,” I think he’s announcing to the “stowaways” or thieves that the Captain is home and there’s going to be some repercussions for stealing his ship (I wouldn’t fault anyone for disagreeing with me here). For all we know the line is actually “Chewie, we’re home. Now let’s get these rats off my ship” or something like that but much better. So in my reading of “things,” we have some evidence Leia and Rey and are connected. We have droves of evidence Kylo and Solo are connected too. Does it even make sense for Han and Leia to have children with other people and Kylo and Rey are not siblings? It seems convoluted and strange. I don’t think it plays with the audience’s presumptions in a fun way either. If Han and Leia had children with other people it would mean their kids could become romantically involved but that still plays kind of strange and creepy in the legacy sense. With Han Solo dead by the end of Star Wars: The Force Awakens we have to have some connection between the heroes and the villains beyond hate. Some have suggested that Luke Skywalker could be Rey’s father. But Rey reconnecting with “Aunt Leia” doesn’t seem right either. At least not to me. There should be some kind of redemptive message in this next trilogy and if Kylo is all evil and Rey has no emotional connection to him, it would seem harder to emotionally sell the sequels unless they’re about revenge which is not the Jedi way. I think we are dealing with Han Solo and Princes Leia’s long-lost children, thought dead until they are rediscovered. In order to make that happen, the heroes from Return of the Jedi were forced to endure a lot of hardships to set up that climate and lead us into the future of the franchise. Hopefully as we move forward we can uncover more about Rey’s connection to the Solo family and solve if she is in fact a Solo at all. I firmly believe Kylo Ren is a Solo and I think Rey/Kira might be too.